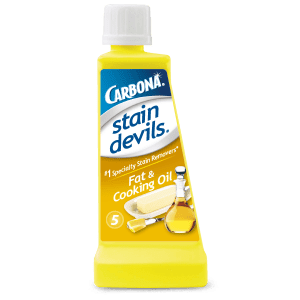 Set the sauciest of stains straight by defeating them with Stain Devils #2! 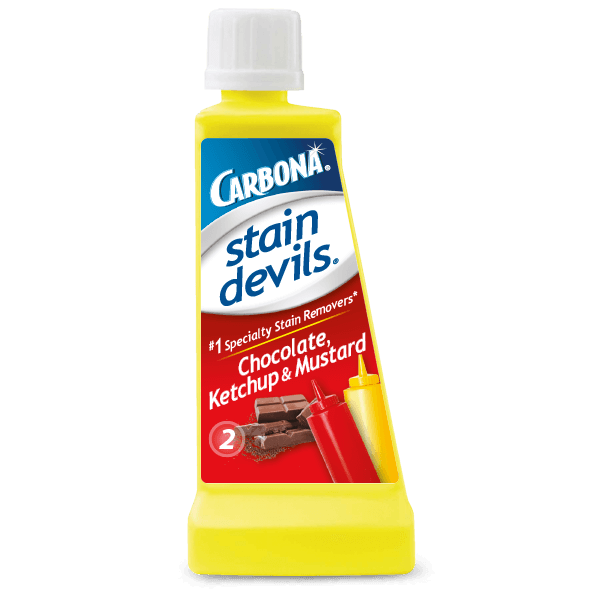 Stain Devils® #2 removes: Barbecue Sauce, Chocolate, Gravy, Ketchup, Mayonnaise, Mustard, Pizza, Salsa, Soy Sauce, Spices, Steak Sauce, and Tomato Sauce. Before use, test for colorfastness on an inconspicuous area. I have been a happy, loyal customer for many years. Recently my 20 year old daughter used your product to remove blood from an item. She called you “genius.” Just thought you should know. I love the stain devil removers. They are some of the best out there. The ketchup/Mustard/Chocolate remover didn’t work as effectively as the makeup remover did. Tried to get a small French’s mustard stain out of a white cotton blouse. Didn’t budget. In my experience as an avid mustard eater, the only thing that takes mustard out is scissors. Love the products but our local stores don’t seem to carry them. We have no coupons as no one sells it. I loved your chocolate, kethup, mustard remover when it had a yellow tinge. 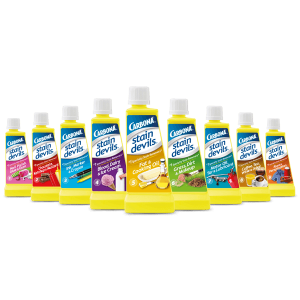 Now instead of yellow it is thinner and clear and doesn’t work as well on the stains I use it for. Did the formula change and if so, why? My spicy-food loving son got hot sauce all over his brand new golf shirt. I had Stain Devil # 4, 9 and the one for Ink, but unfortunately didn’t have #2 for ketchup (hot sauce) etc. I unsuccessfullt tried several products, as well as a homemade solution of hydrogen peroxide/dish soap/baking soda. I saw that our local hardware store had it in stock. 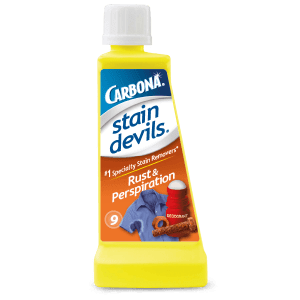 This morning I bought Stain Devil #2 and treated all of the stains. I am THRILLED to say that they all came out. I am relieved (b/c the golf shirt was expensive and his new favorite) and my son is “over the moon”. Thank you for another product that works miracles.